With my daughter so far away now in college, it’s harder to keep up with her life. I’m rather thankful for social media, now, where I can vaguely follow along. This entry was posted in Favorite Photos, Life After 40, Raising Kids, Teens by Lauren Christopher. Bookmark the permalink. 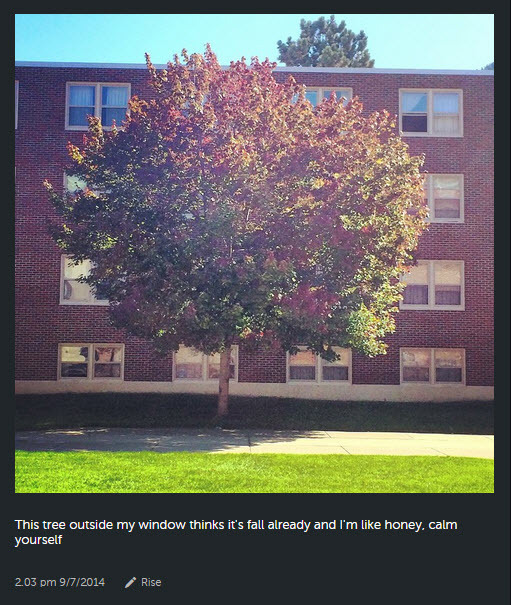 I love Rene’s tree outside her dorm window!!! Maybe she can remember to take a picture In the Spring and summer…..oh I guess a winter one too. 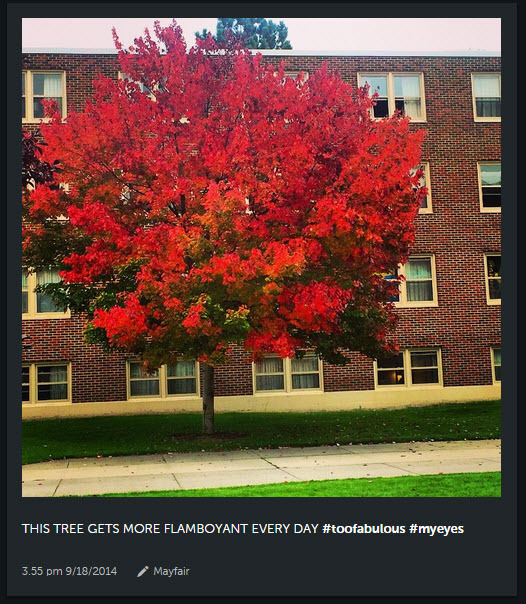 It must be a maple tree? ?